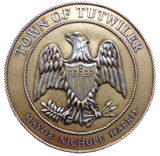 As your Mayor and Board of Alderman, we are excited about what is ahead for the Town of Tutwiler. We are ready to turn challenges into opportunities for a brighter future. We are ready to jumpstart our economy. We are also ready for Tutwiler to become a more productive place for our citizens to live and visitors to visit. 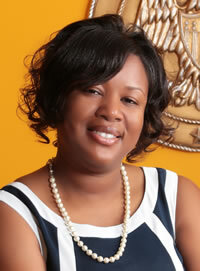 I am extremely pleased with the progress of many programs implemented to move our town forward. Thank you to our staff, which has the knowledge, experience, and dedication to make our town effective and efficient in providing and improving services to the citizens. We all are working together as a team. Finally, let me thank each and every one of you for choosing Tutwiler. We must all invest in this community because our individual investment means success for us all. It is because of each of you that we can say with pride that the Tutwiler community is a special place to live, work, play and an ideal place to grow ideas, grow businesses, and grow families! Now is the time for all of us to come together to turn our dreams and aspirations into reality! We want to hear your suggestions and ideas to advance our town. Please call or come by with an issue you would like to bring forth or just to have a chat one-on-one.